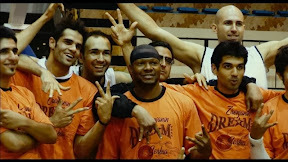 And it’s a decision that serves Sheppard infinitely well when the journeyman athlete who’s shot hoops for teams all around the world is hired to play in Iran, where much to his surprise, the charismatic charmer befriends three forward-thinking young women who not only help him feel much more at home but go on to have an eye-opening effect on him that forever changes his life. When we first meet Sheppard in first time documentarian Till Schauder’s riveting feature The Iran Job we learn that he’s in a happy, committed relationship with his longtime girlfriend. Nonetheless, it’s Sheppard’s friendship with his educated, outspoken physical therapy nurse Hilda and her two equally bright, thoughtful best friends that not only changes the way he approaches and evaluates life in Iran but also gives him new insight into what it means to be a global citizen who can see all points of view. Not that The Iran Job is in any way pretentious or preachy. In fact, it’s quite the opposite as Schauder uses an admirable, old-fashioned, fly-on-the-wall approach to capture life being lived and simply observe what it is like for an American to live and work after the Iranian leader threatened war against Israel, resulting in an unstable political situation around the globe. At a time where signs denouncing the United States are in clear view, Sheppard wisely avoids political and religious discussion on a day-to-day basis with the locals but he (and by extension the audience) is riveted by the warmth, humor and good will of those he meets who do not seem to share the views on display on the sides of buildings. 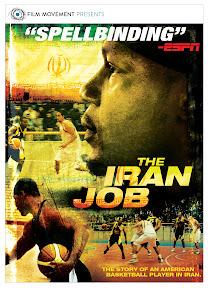 From individuals who openly tell him they love black people to his hilarious misunderstanding filled search to find a Christmas tree that leads him on a long and confusing journey, The Iran Job is that rare film that purports to be a sports documentary but in all actuality its best footage, most memorable moments and fascinating conversations all take place off the court. Hired for double the money because of the questionable location, Sheppard is given the daunting task of having to bring the brand new Iran Super League team A.S. Shiraz to the playoffs as the captain meant to reign in, inspire and train inexperienced athletes alongside his roommate and fellow foreign journeyman, the seven foot tall Serbian player Zoran. However, Sheppard is such a natural screen presence that he shines the brightest when he’s given a chance to shoot the breeze rather than the ball. 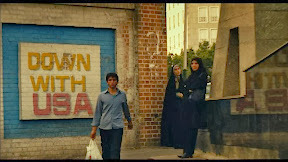 Growing more intense as the year passes by and the film chronicles to very different political elections – contrasting the historic election of an African American U.S. president in Barack Obama with the uprising of the reformist Green Movement amid Iran’s election and increasing instability in the streets with protests, Schauder wisely resists any temptation to frame his film with any particular political thesis. Leaving it up to Sheppard as well as his friends and teammates to explain their thoughts on the country and their hopes for the future naturally the way people do in the normal course of conversation makes for far more compelling moviemaking. And by staying above the fray, Schauder allows himself to let us enjoy the small little moments of laughter, romance, jokes as well as heartache that arise within the small community throughout the expanded network of friends. An official selection at the Los Angeles Film Festival and partially funded by Kickstarter, this auspicious documentary debut by Schauder is refreshingly honest and moving from start to finish. Beginning with one set of emotions and then illustrating the life-altering evolution from one scene to the next by allowing us to live vicariously through Kevin Sheppard, we become enlightened along the way and grateful not only that this journeyman bravely ventured to Iran with a German filmmaker posing as a tourist in tow but also that he chose basketball over soccer so many years ago. For it’s that reason alone that enabled us to not only travel along but, along with Sheppard, meet three unforgettable girls as well, thanks to their cultural defying love of basketball that – through this film reminds us that the world, much like a basketball is round and we’re not that much different after all.